If you love a good monthly subscription box and you love eating delicious burgers, you need to try out myBURGERbox! myBURGERbox is a monthly gourmet burger subscription service that send you seriously tasty burgers and other delectable ingredients right to your door! 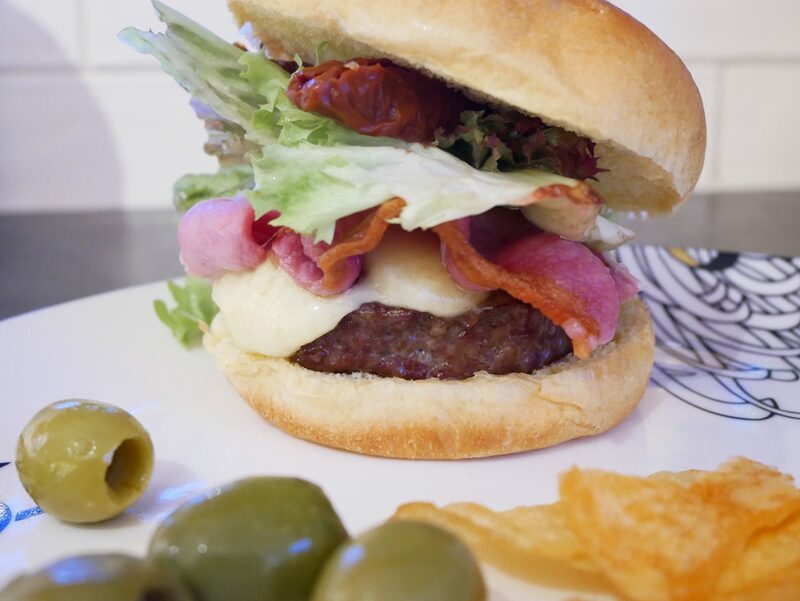 Each month, you will receive an assortment of products and flavours to create your own seriously juicy 6oz burger. However, the great taste and amazing service doesn’t stop there. Oh no, you also get sent some sweets for after! It’s the perfect combination for a ‘date night’ in! Being passionate about good food is only the start, myBURGERbox use local produce and small-scale farmers to ensure that your food not only tastes amazing but you know the animals have been well fed and allowed to roam free. There are several options available to you at present. You can order your box for one or two people for a period of 1, 3 or 6 months (you can even buy them as a gift box too!). Your box is sent out on a set Thursday of each month and usually arrives on the Friday, although sometimes it will be Saturday. All the boxes are packed using chilled packaging, which will keep your food at the right temperature for up to 48 hours. You should aim to use your box within 24 hours of receiving it. We were absolutely delighted with our April box and had great fun cooking and constructing our own gourmet burgers. The burger itself was packed full of flavour and has to be one of the most delicious burgers I’ve eaten. You could tell it was excellent quality and it really made the meal. The bacon and cheese were carefully selected to bring out the flavour of the burger and I honestly can’t think of anything I would have added to the box to make it better. 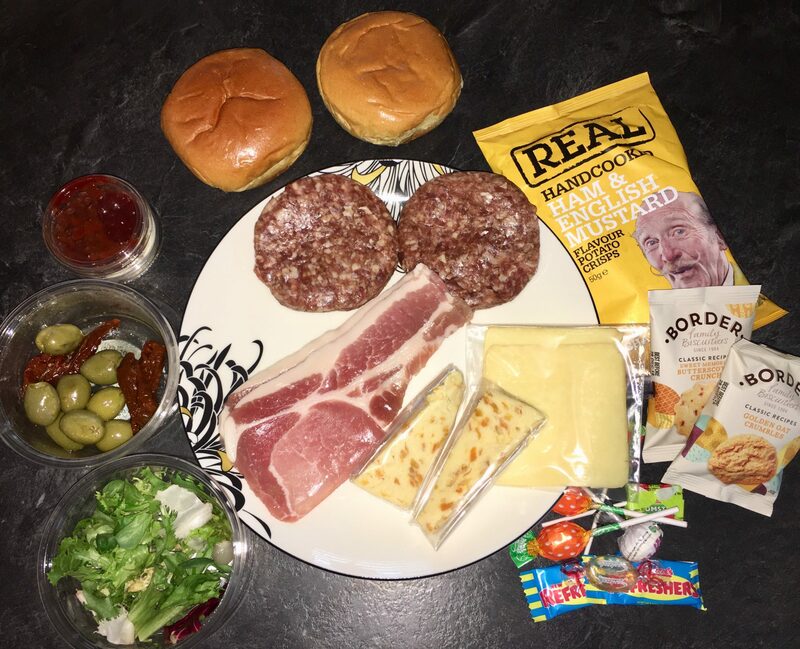 As well as the actual burger being amazing and taking all the hassle away from shopping for the perfect ingredients, I was really impressed with the ‘extras’ you get sent. The biscuits and the sweets were such a nice touch and went down really well after we finished dinner. Now, we’ve got a really special treat just for you! We’re giving away a one month subscription box for two so you can try the service for yourself. We’re pretty confident that once you’ve tried it, you’ll definitely want to sign up for more! The giveaway is for 1 x myBURGERbox subscription box for two people. The giveaway closes at 12.00am (GMT) on 27.05.18 and is open to UK entrants over the age of 18 years. The winner will be selected at random using Rafflecopter and contacted within three days of the giveaway closing. The winner has 28 days to claim their prize and provide their contact details. The prize will be sent to the winner directly from myBURGERbox. The prize is non-transferable. There is no cash alternative. The giveaway is run by What Mummy Thinks in conjunction with myBURGERbox. I’d love to see different kinds of relishes. A nice smoky bbq sauce and red onions! Some lovely blue cheese and maybe some really big onion rings !!! This is such a great idea! I’d like to see a spicy lamb burger with a cucumber raita and mango chutney. Blue cheese, bacon, a sweet sauce of some kind. I was really excited to see that there can sometimes be gluten free ingredients in the box, this is great as we are a Coeliac family and sometimes miss out on foods because of this. A great burger needs cheese and gherkins in my opinion. I’d love to see some tasty cheeses, they can really change the taste of a burger! Blue cheese, gherkins, relish, smoked bacon,red onion and american mustard. I’d love some stilton and bacon. yum! I love a nice breakfast burger so it would be a burger with cheese, bacon and egg. A burger with cheese! Thanks for the competition :)! some onion rings and red onion marmalade! Some halloumi! I love that on top of my burgers. Some posh relish and blue cheese. Halloumi cheese and crispy bacon rashers! 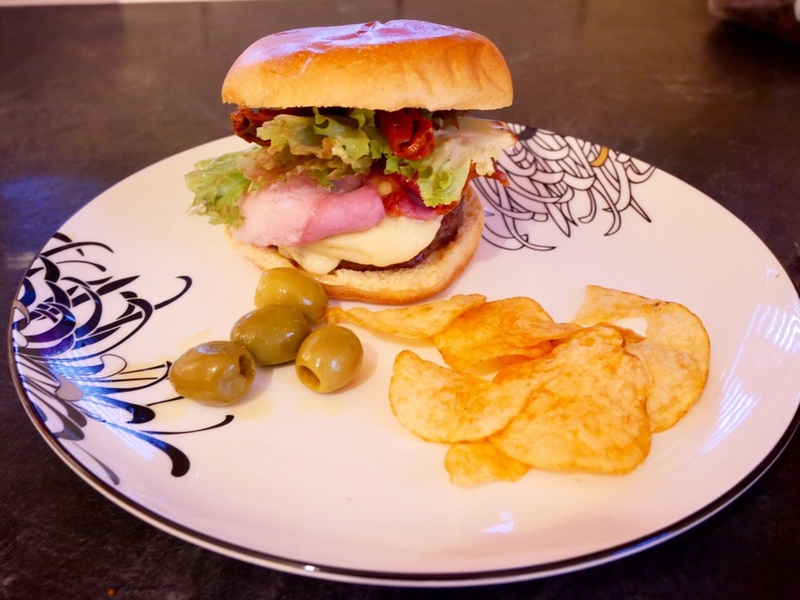 Burgers, sesame seed buns, cheese, gherkin slices, bacon, lettuce, tomato, onion rings. Yummy! Would love to see Cheese and Ketchup plus some delicious butter! I would like to see some mayo made with natural ingredients & no rubbish! cheese, pineapple ring and some bacon rashers yum! For me I think this is pretty much on the money – the bacon looks lovely and crisp and a good helping of garlic mayo – I think you have just cost me money! But for something to be added I would like to see bacon jam. I’d love to see some good quality bacon, cheese and an Angus burger. Some quality cheese or relish! Chipotle and bllackstocks blue cheese!